Our technician, Hayley is a PCT level 2 registered smoking adviser fpr Mid-Essex PCT. Hayley runs the stop smoking clinic as a FREE NHS service. You can self-refer yourself for stop smoking support just call us on 01621 860 511 to book your appointment. The program is on a ONE 2 ONE basis and involves you coming into the pharmacy once a week for around 10 mins for about SIX weeks. 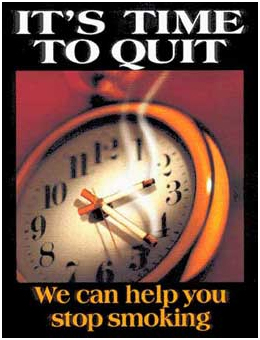 During your first appointment Hayley will discuss your attitude towards smoking, your smoking history, why you want to give up, she will check your carbon monoxide levels (CO) and discuss the option for quitting which may revolve around nicotine replacement therapy (NRT) or other agents such as Champix. On subsequent appointments you will have a CO check and a review of how you are progressing with some friendly support and discussing coping strategies. This is a FREE NHS service however if you are prescribed NRT you will pay an NHS prescription charge for each item issued, if you are exempt from prescription charges you do not have to pay for the NRT.